Why Can't I Save Money?Eliminate The Muda! An interesting query, “Why can’t I save money?” was a search used that found Eliminate The Muda. This question has certainly been asked millions of times. Why wouldn’t this reader already know why they can’t save money? You might be inclined to state the seemingly obvious, “you spend too much!” But is it really as easy as that? A person may actually find themselves in a position of debt, or simply broke for a variety of reasons. If this situation sounds familiar, you might want to use a proven approach to find the true root cause. The approach is a technique called the 5 Whys. The 5 Whys is used to gain an understanding of the cause and effect relationship of a particular problem. If used correctly the 5 Whys should uncover the root cause(s) and provide insight on how to overcome a challenge. The 5 Whys have been criticized by some because of its “limitations.” Some believe the 5 Whys have a tendency to lead people to the wrong conclusion. No wonder, if you limit yourself to this linear perspective. We can easily see the flaw in this approach. It does not identify all the possible causes of the belt failure; could the bearings in the alternator be frozen? It may not address the unknown; could the belt have been damaged due to chemical contamination? Are there other possible causes? This article was featured in the Money Hacks Carnival hosted by Need Money Tips & the Get Out of Debt Carnival hosted by The Debt Hawk. Please check out these carnivals for many other great articles about personal finance. What most fail to understand is that the 5 Whys title is only meant to be a reminder that we should keep asking questions. There is no rule that you are only allowed to ask why 5 times and there is no rule that says you must ask a minimum of 5. Understanding that we should explore all possibilities, let us take a look at a more comprehensive example of the 5 Whys using our title question. Why can’t I save money? Unlike the broken fan belt example we quickly identified two potential root causes; spending too much and not earning enough. Each of these possibilities would then be addressed to their ultimate conclusion. This example also illustrates the reality that some issues may have more than one root cause. If so, you may want to address both or choose to focus on one opportunity first. Furthermore, using “I never learned how to budget” as an example, in some cases getting to the true root cause may not matter. Did the educational system fail to teach or did the parents. Maybe the individual simply didn’t take advantage of educational opportunities previously available. Regardless the opportunity rectify this is education today. Any question in this example may have more than one answer. Each answer could lead to additional questions. Like electricity following the least path of resistance, it is human nature to jump to conclusions. Call it the desire for instant gratification or laziness, too often people choose a path before fully appreciating the root cause of their problems. Keeping the 5 Whys in mind will remind you to drive not for the easiest answer, but the best answer. Readers: Can you share a personal or professional challenge you have right now that the 5 Whys could help you solve. 12 comments to Why Can’t I Save Money? Looks like I’m not the only one who’s had to go through root cause failure analysis. Applying RCFA to your personal finances is an excellent idea. Where I work we take it one step further and focus on the “latent” cause. I recently had to do an RCFA on a large pressure vessel that developed through wall cracks. I first had to identify the physical and human causes, and one physical cause was there were breaches in the insulation which allowed water to reach the exterior surface of the vessel. One of the human causes was previously identified insulation penetrations were not repaired. A latent cause was “We need to do a better job following up on recommended repairs from inspection activities.” There was a lot more that went into it but that should be enough for everyone to get the gist of it. Most people don’t like to use latent causes because they have a way of spreading the blame and tend to be painful observations – e.g. 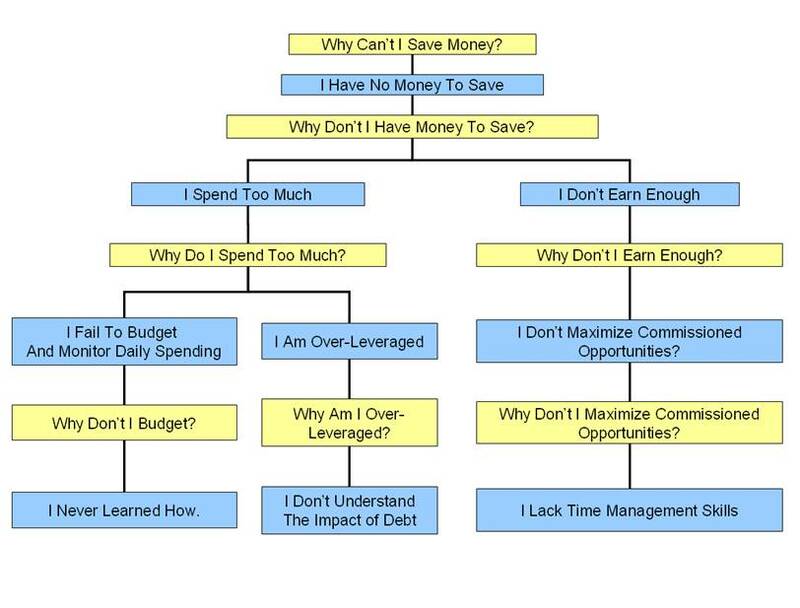 one of the latent causes for “Why can’t I save money” might be “I have a fear of money”, “I live too much in the moment”, or even “I have not been planning my future responsibly”. Excellent! I think we always have excuses as to why we can or can’t do things. We’ve got to overcome those obstacles before we can be successful! Hmmm, I forgot about the 5 whys… Great technique though, seems like it would force the individual to be thorough in their research. .-= [email protected]´s last blog ..Stop Waiting For Magical Moments To Happen =-. @David – Thanks for the concept of “latent” causes. That is another great perspective to keep in mind! @Mrs. Money – It’s amazing when you think about how often people allow themselves to be imprisoned by their lack of belief in the possibilities. @Don – You’ve got it! It’s a great development tool to help employees or even your own family learn how to develop the best solutions to their challenges. I think it is hard for people to face the root cause of bad habits. All too often we are looking for the easy answer that doesn’t necessarily mean, we have to change. It’s much easier on our ego to think some outside condition has to change. That’s why people will tend to answer the first question of why with,”because I don’t have enough money” rather than because I’m not living within my means and need to change my spending habits. But I clearly remember a time when I earned 50% of what I do now without suffering deprivation. If I had maintained that lifestyle instead of spending more as I earned more, I would have a pile of cash right now. Too bad I didn’t ask myself the 5 whys way back then. .-= Tracy´s last blog ..Are You Happy? What’s Your Impact? Take The Test! =-. On a professional level I would like to know why I can only keep my desk claer for one day before the mountains of paper begin again. I may have to apply the 5whys to this and see where it goes. @Tracy – I learned myself, it is never too late to make a difference. @Ken – Depending on your role and where the paper comes from you may want to include the upstream co-workers in this exercise. I’ve worked with companies where we identified 30-40% of the “required paperwork” was pointless and eliminated. Keep asking! I like the chart, really makes things clear. @Ryan – If we lived on a tropical island we would be scuba diving everyday. What’s up with you? 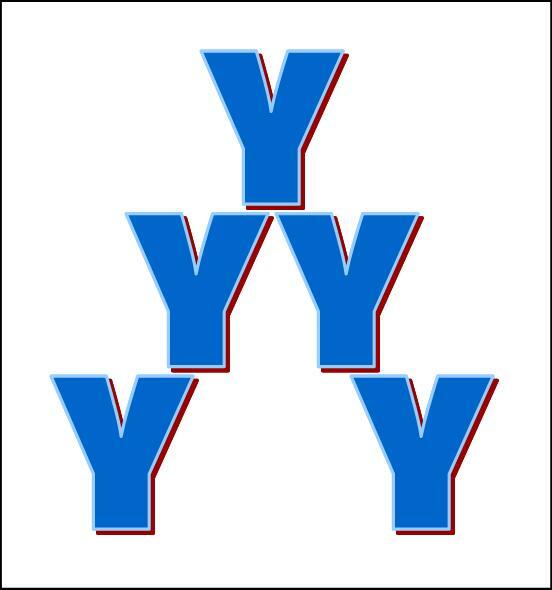 Never heard of the 5 Y’s before – enjoyed the post. How did they arrive at 5 vs. 4 or 6? .-= FinEngr´s last blog ..Which Way Are You Outsourcing? =-.